If I had my way, I’d put zinc oxide in every sunscreen. I don’t care if you don’t like the white cast it sometimes leaves behind. Or if it’s a tad too greasy. Nothing’s perfect. But zinc oxide comes pretty close to it. I haven’t found another UV filter that protects skin as well or is as gentle. If you have sensitive skin, it’s a total game-changer. What Makes Zinc Oxide The Best Sunscreen Ingredient Ever? Better protection: most UV filters protect skin only from UVA or UVB rays. Zinc oxide is the only one that protects it from them all! Stability: most UV filters degrade quickly when exposed to sunlight. Zinc oxide is more stable so you can go a little longer without reapplying your sunscreen (but don’t take it as an excuse to never reapply!). Gentleness: chemical UV filters often irritate skin or cause allergies. Zinc oxide is very gentle on the skin and is safe even for babies and the most sensitive of skin types (the only exception: if you’re allergic to zinc). Are you as in love as I am? Does Zinc Oxide Has Any Side Effects? Zinc oxide is a white mineral. That’s why it leaves that ghastly white residue on your skin (and photos). I don’t mind this. I’m so pale you can barely see it anyway. For darker damsels, the white cast is a real problem. You want to keep your skin safe from UV harm but can’t go around looking like you’re wearing a mask. Luckily, there’s a workaround. Pick a tinted sunscreen. Problem solved. But, Wait! Aren’t Nanoparticles Dangerous? I know a lot of you are scared of using nanoparticles because you’ve heard they can penetrate the skin and cause all sorts of havoc. But that’s not true. A 2010 study found that very, very little (less than 0.1% of the applied dose) penetrates skin. The rest stays on the surface of your skin, where it needs to be to protect you from the sun. An UV filter that penetrates skin isn’t good to anyone! Zinc oxide nanoparticles are only banned from spray sunscreens because of the risk of inhalation (but you shouldn’t use spray sunscreens anyway!). Related: Is Nanotechnology In Sunscreen Good Or Bad? What Are The Best Sunscreens With Zinc Oxide? Skin protectant: it temporarily protects injured or exposed skin from harmful or annoying stimuli. Colorant: it imparts colour to cosmetics. For example, it’s used to create different shades of foundations and concealers. Thickener: it adjusts the consistency of cosmetic products. The less you use, the more translucent they are. The more you use, the higher the coverage they provide. Astringent: it’s slightly astringent, and can absorb just a little of the excess oils on your skin. Zinc oxide is by far the best, safest, and most effective UV filter out there today. You don’t even have to put up with the white cast anymore! Do you use zinc oxide-based sunscreens? Share your faves in the comments below. Genius post and spot on for the time of year. Gauri, thanks. Glad you enjoyed it. I read zinc oxide acts to protect the skin from sun damage by reflecting light off the skin thereby preventing it from being absorbed. I too hate the whiteness however I would like to know if adding tint to it makes tlit less effective. Surely it has to be white to reflect? I strongly agree with you! I have been using physical sunscreens ever since I started having a skincare routine, and I have never looked back. Partly, I tried chemical sunscreens, and found out I am allergic to them. When I use zinc oxide, I can feel my skin not burning compared to if I go out with bare skin. Cocoa, sorry you are allergic to chemical sunscreen. But mineral ones are so much better anyway. They provide better protection and don’t need to be applied so often. I love this post of yours… I want to start using a sunblock, but I was really confused. I have a dark olive skin tone as I’m Asian, so I’m glad I get to know this. From now on I will surely wear a sunblock. Ruth, glad this post helped you and that you’re going to wear a sunblock every day from now on. Your skin will thank you for that! I am so excited about this post! I have been allergic to sunscreen since my early teens and have always been the friend with the big hat and long sleeves and pants at the beach! I don’t frequent the beach as much anymore, but have noticed the sun damage on my face, (the only part I reveal to the sun!). I’m so excited to use the products you suggested. As an African American woman, I know I’ll have to work out the kinks concerning the white cast. But in the end, it will be worth it to save my skin! Thanks so much, I thought all hope was lost! Collette, you’re welcome. 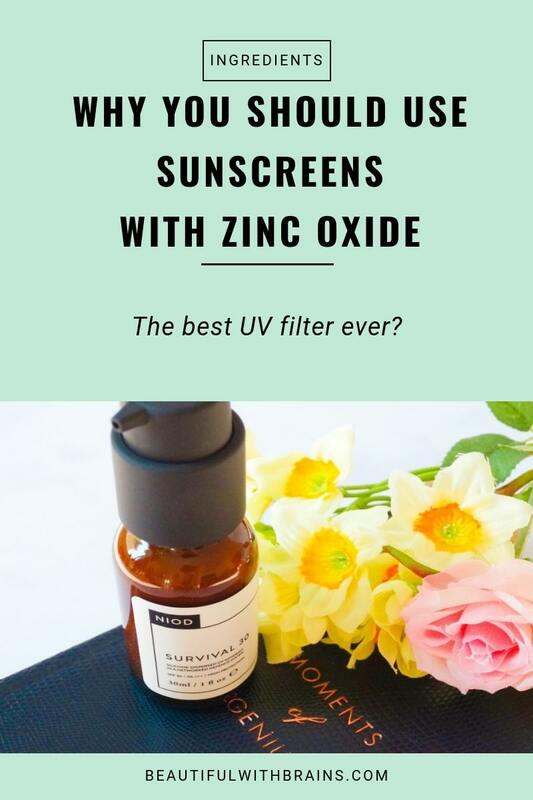 I’m glad this post helped you, and am sure you’ll love Zinc Oxide based sunscreens. They’re so gentle, yet so effective! Maybe you could look for tinted ones? There aren’t many around, but they are worth hunting down if you don’t want to deal with the white cast. This article and your article about sunscreen allergy were really helpful. It sounds like Sunumbra is your favorite sunscreen. Could you compare it to Blue Lizard? Or is a different sunscreen your favorite now? Erik, I’m glad you found them useful. Yes, Sunumbra is still my fave sunscreen. The main reason is because it’s tinted. That way, I get all the benefits of zinc oxide without the white cast. Great! Thanks. My wife has a sunscreen allergy now, so I’m trying to find something that will protect her skin. I ordered a bottle of Sunumbra and am looking forward to seeing if it works for her. The Sunumbra also appears to have less ingredients than the Blue Lizard, which could be helpful for the allergy reason. You’re welcome. That’s very thoughtful of you. 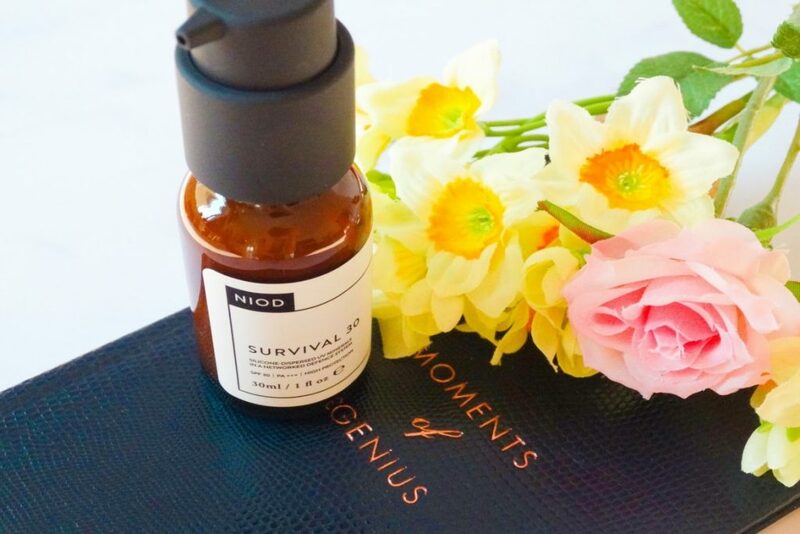 Yes, the Sunumbra sunscreen is one of the gentlest I’ve come across. If that doesn’t work for her, I’m not sure what might. Thanks for this article and I look forward to hearing your input! Kat, I hear ya, finding a good tinted mineral sunscreen is really hard. I don’t know why so few companies add a tint to their sunscreen. It’s such an easy and quick way to fix the white cast problem. The Sunumbra Sunkids is definitely one of the lightest mineral sunscreens I’ve ever tried, but not as lightweight as most chemical sunscreens, if that makes sense? Still, I find it very comfortable to wear and perfect for those who want to try a mineral sunscreen without dealing with the white cast. Another amazing tinted mineral sunscreen I have just discovered is Skinceuticals Physical Fusion UV Defense SPF50. An aesthetician used it on me lately, and I fell in love. This one is really as lightweight as a chemical sunscreen. It really feels like you have nothing on, yet, it protects skin well. That’s because it contains micronized zinc oxide. I know some people don’t like to use micronized anything, but I personally believe it to be safe. And, it’s reasonably priced too. Cindy, oh no! Those brands use chemical sunscreen ingredients, so I think it’s likely you’re allergic to one of them. A mineral sunscreen may work better. Sunumbra sunscreens are a bit greasy, although bearably so, especially Sunkids SPF40. But, if you can’t stand even that, I’d recommend Skinceuticals Mineral Radiance UV Defense SPF50. It’s by far the most lightweight sunscreen with zinc oxide I’ve ever tried, and leaves no white cast behind. Hi Gio, Thanks for the rich article. I am using bioderma 100 spf light tinted sunblock, does it provide the complete protection like the non-tinted sunblock? and does it cause the skin to darken when exposed to the sun? Carolina, glad you enjoyed it. Yes, that provides good protection. Your skin darkens when it tans. This sunscreen should prevent that. What is the min. % of zinc oxide acceptable in a “good” sunscreen? Am,5% is the minimum but 10%-20% is ideal. I have been looking for advice on when to put Zinc Oxide/titanium Dioxide onto face Unfortunately, I have had three basel cell carcinomas so I am now extremely paranoid. Am I right in thinking you should put sun lotion on right at the end, after you’ve put moistuiriser and make up on. Thank you . Lindsay, I’m sorry to hear that. You can never be too careful. I put on sunscreen as the last step of my skincare routine but before makeup. That’s how scientists test it. Having said that, there’s proof that applying makeup on top of sunscreen can rub some off if you’re not gentle enough. Any strong rubbing is to be avoided. If you’re concerned about that, you can put it on after makeup. Inactive ingredients: organic calendula flowers, organic beeswax, organic coconut oil, organic jojoba seed oil and non-GMO tocopherol. Would you mind, please, telling me if it’s an good choice of excellent anti UVA protection? 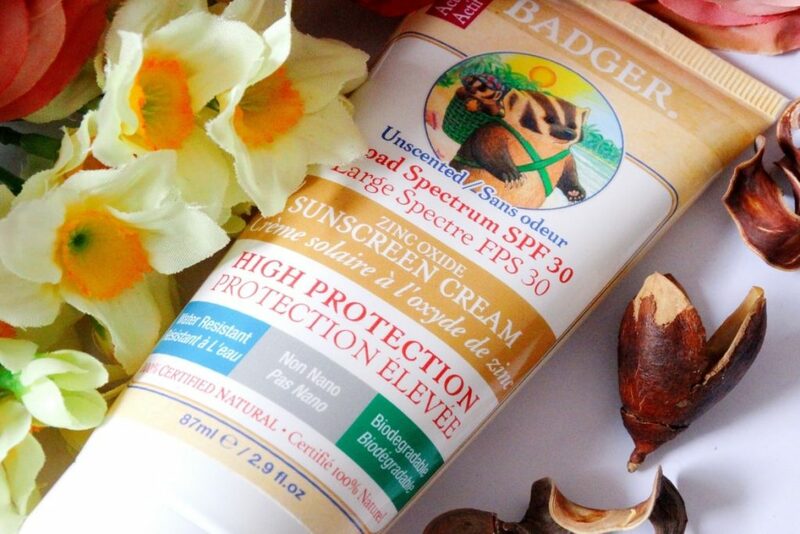 it contains ONLY Zinc Oxide (in the highest legal percentage level), is that enough as an excellent uva (well, and uvb) protection? Thanks in advance! Cheers, Milva. Hi Glo! Thank you for this awesome resource. I was wondering what your thoughts Diethylamino Hydroxybenzoyl Hexyl Benzoate and Ethylhexyl Methoxycinnamate. I’ve been using Biore UV Aqua Rich Watery Essence Face Sunscreen SPF 50/ PA+++ and I love the way it applies like a watery light gel, but it doesn’t have zinc oxide. Jess, those are great sunscreen filters too. Asian sunscreens use innovative filters that are banned in other countries so for most of us, zinc oxide is the best option. But this one is very good too! Are they banned because they’re not good for us? Hi Gio! Are the Asian sunscreens banned because they’re not good for us? Would you use them if you could? I don’t wear sunscreen on a daily basis – usually only in the summer if I’m going out directly in the sun for hours. I want to be wearing it all year round though – especially now that I’m using a Retinol product and some other anti-aging ones. So I’m looking at Biore UV Aqua Rich Watery Essence SPF50+/PA++++, Skinceuticals Mineral Radiance UV Defense SPF50, Skinceuticals Physical Fusion UV Defense SPF 50, and derma e Sun Defense Mineral Oil-Free Sunscreen Face, based on your recommendations and after reading all the comments. I was going to try Sunnumbra but you said it was a bit greasy and I have combination skin with breakouts so I don’t need anything that will make my skin more oily! Is there one of those that you would recommend over the others since none of them were mentioned in your original post? Thanks so much! 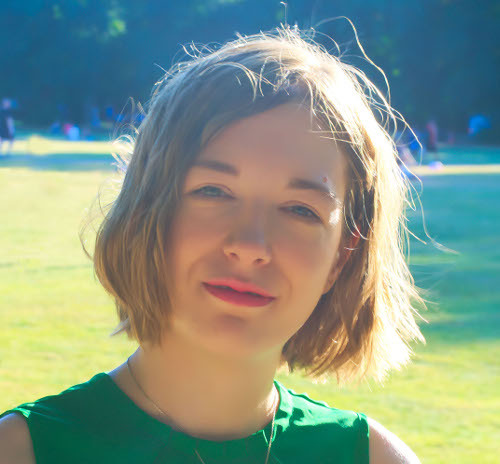 I’m really loving going through all your blog posts – learning lots! 🙂 Thanks! Claire, they’re banned because the FDA hasn’t gotten round to approving them. Sunscreen is considered a drug in the US and the process to apply drugs can take YEARS. I understand the good intent but these UV filters have been used for ages by most countries, so you’d think the FDA got a move on. Bureaucracy, hey? I’d go with Biore. It has a very lightweight texture that works well under makeup and for combo skin. I purchased the Elta MD Sunscreen and I’m not very impressed with it. I don’t think it is very effective, because I have more freckles since using it and it got a poor rating from Consumer Reports. Consumer Reports said the following about this sunscreen: this product is Poor in its variation from the labeled SPF and Poor in its UVA protection. Cness, I’m sorry you had a bad experience with this sunscreen. I will look up the Consumer Report statement to understand how they came to this decision. In any case, did you apply the recommended amount? No sunscreen works if you use less. Does the EltaMD UV Pure Broad-Spectrum SPF 47 have Nano Zinc Oxide? Thank you. Lorna, I don’t think so. Usually brands mention it when they use nano zinc oxide.